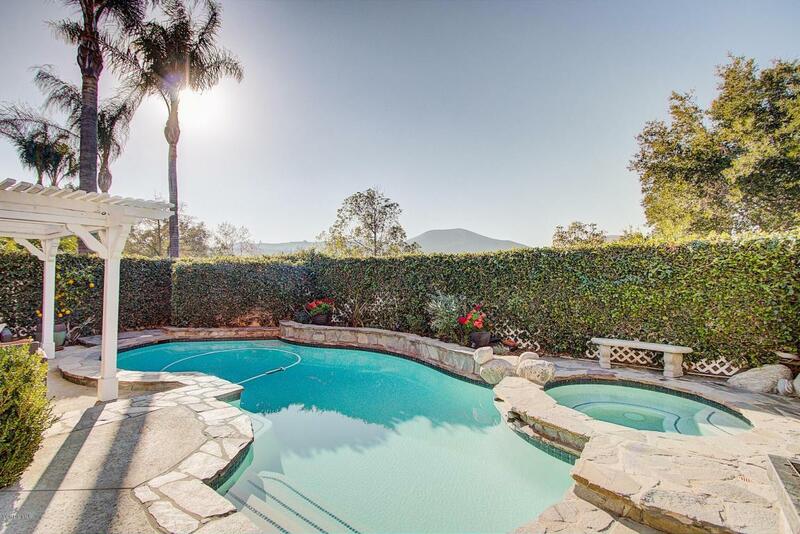 Spectacular Views, Pool & Spa!Welcome to this highly upgraded view home. This inviting floorpan has dramatic high ceilings with lots of sunlight pouring through the upgraded dual pane windows. 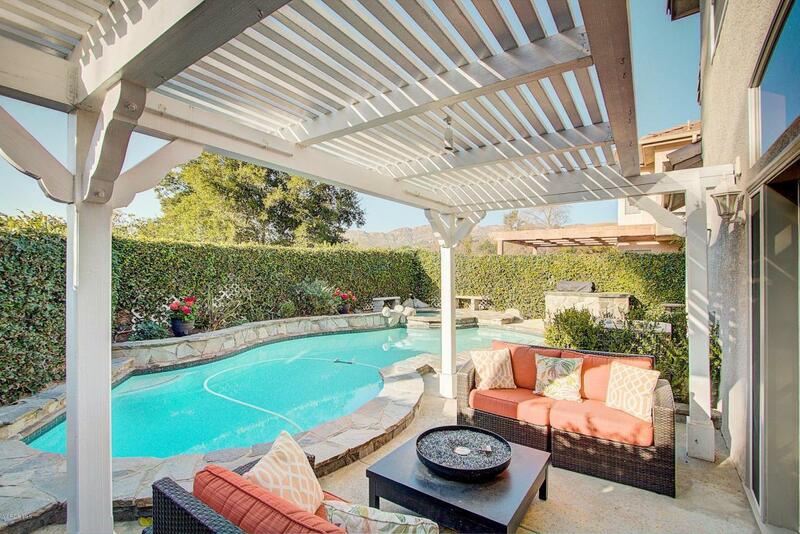 Relax in the tranquil backyard and enjoy sunset views of the mountains. High quality custom features include: recessed LED lighting, Travertine floors, Milgard dual pane windows, plantation shutters, custom wiring for TV, surround sound and tank less water heater. The remodeled kitchen features Dacor double ovens, warming drawer & stove, as well as custom pull out organizers. The pool has been re-plastered and upgraded to remote controlled equipment. Upgraded wrought iron banister stairway leads to 4 bedrooms upstairs. 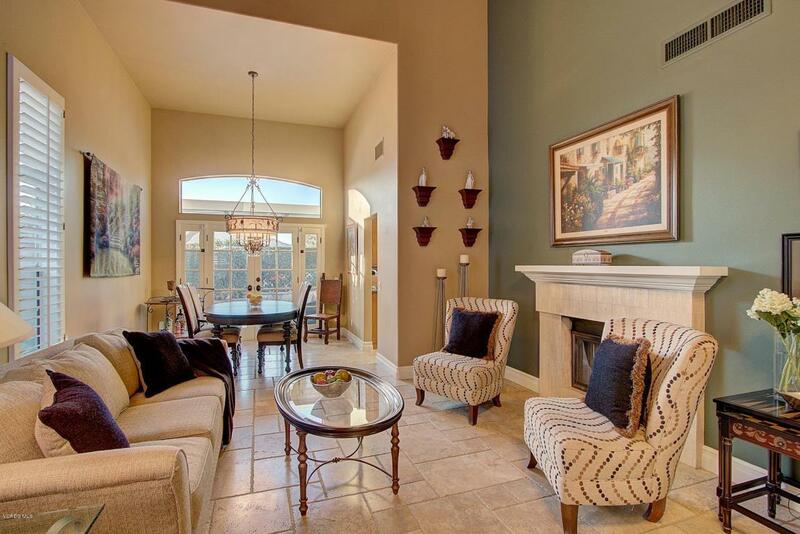 Master bedroom boasts spectacular sunset & mountain views overlooking Indian Springs Park. The remodeled master spa-like en-suite bathroom includes custom designer dual shower head shower and cabinetry featuring unique 10'' medicine cabinets with electrical outlets. The garage includes built in overhead storage cabinets. A must see one of a kind home. 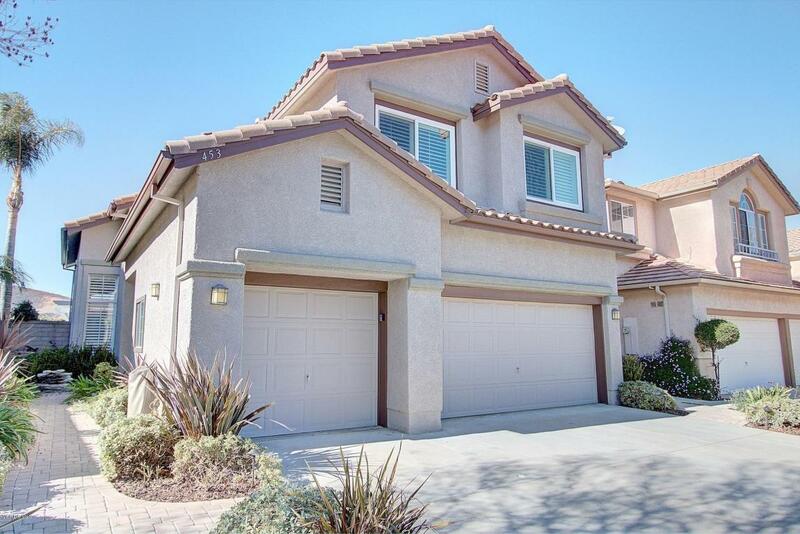 Sold by Jessica Foitel BRE#02013297 of Coldwell Banker Residential Brokerage. Inclusions Bosch Refrigerator in Kitchen Ge Refrigerator in Garage Washer & Dryer. Fountain in Front Porch Area. Listing provided courtesy of Jessica Foitel DRE#02013297 of Coldwell Banker Residential Brokerage.